2. How to Calculate Capital Gains Sale of Investment Property on Which Mortgage Is Owed? One of the great advantages of investing is that you have a lot of options for optimizing your tax situation. From tax-advantaged retirement accounts to low long-term capital gains rates, the government wants to give you these tax concessions to incentivize you to invest your money. And where better to invest than in real estate that returns regular cash flow from rents? Investment property provides more tax breaks than almost any other investment. Even better, you get the breaks throughout the investment lifecycle – upfront, when you buy the property, during, when you're receiving rent, and back end, when you come to sell your investment. Can You Write Off Interest on Investment Property? Due to the Tax Cuts and Job Acts of 2017, mortgage interest deductions are now limited for a primary residence. But if you borrow money to buy or improve an investment property, you can still deduct all the interest you pay on the loan. 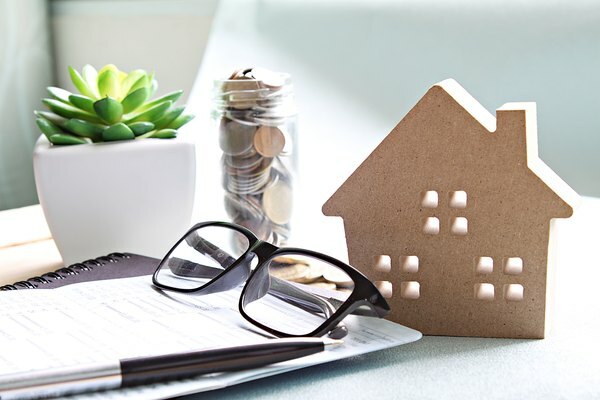 Most loans come in the form of mortgages, but you can also deduct interest on unsecured personal loans, loans from friends and relatives, and interest on credit cards used to purchase goods or services in connection with a rental property. Pay your plumber by credit card, for example, and you can write off his fee and the interest charges applicable to the fee. Interest is deductible up to the total income you earn from the property in any given tax year, less any expenses you claim as miscellaneous itemized deductions. Starting in 2018, there are special rules for landlords who earn more than $25 million from their investment properties. If you're playing in the big leagues, you either lose some of the interest deduction or you agree to depreciate your investment property over 30 years instead of 27.5 years. The Internal Revenue Service uses depreciation to acknowledge that buildings wear down over time. For some reason best known to the tax authorities, residential investment property is specified to wear down in 27.5 years. So, while you cannot deduct the full cost of the building in the year in which you bought it, you can deduct a portion of the purchase cost each year over 27.5 years. A $200,000 apartment depreciated over 27.5 years provides a $7,272 tax shelter each year. This immediately reduces your taxable income. Take care with passive rental losses, where the expenses you have going out exceed the rent you have coming in from the rental property. If your rental income is $5,000 and your depreciation expense is $7,000, can you offset the $2,000 rental loss against other income like stock dividends or salary? The answer is generally "no" because passive rental losses can only be used to offset other passive income. There's an exception if your adjusted gross income is below $100,000 and you "actively participate" in your rental business. Then, you're permitted to deduct up to $25,000 of passive rental loss against non-passive income. Most small landlords will be entitled to claim this deduction. The cost of repairing your investment property is deductible in the year in which you incurred the expense. Fixing leaks, repairing cracked windows, plastering and repainting all qualify as repairs. Basically, if you're patching, mending and making do, it counts as a repair. You can deduct the entire cost of the repair in a single year. Improvements, by contrast, must be depreciated over 27.5 years. An improvement is an upgrade that makes an asset much better than it was before. So, if you replace a couple of broken roof tiles, you've made a repair; replace the entire roof and you've made an improvement. IRS Publication 527, Residential Rental Property, gives a detailed explanation. Besides repair costs and mortgage interest, there's a whole suite of investment expenses that you're permitted to deduct from your taxable income as miscellaneous itemized deductions. Common landlord tax deductions include marketing expenses, advertising expenses, travel expenses, sale and leasing commissions, insurance, management fees, legal and accountancy fees, staff wages, independent contractor fees, utilities, HOA fees and real estate taxes. You can deduct all of these expenses as operating expenses as long as the money is legitimately paid for work related to your rental activity. Where the expense was incurred as part of your property purchase, the amount gets added to your tax basis for the real estate and depreciated along with the property. So if you spent $5,000 on closing costs, such as legal fees, mortgage commissions, title fees, surveys, recording fees and title insurance, you could add this to the property's price and write it off over the 27.5 year depreciation period. What Is the Tax on the Sale of Investment Property? If you sell your investment property for a profit, you are taxed on your capital gain. There is no capital gains tax exclusion for investment property; the federal $250,000 exclusion applies only to your personal residence. Gains are calculated by subtracting your "adjusted basis" from the sale price of the property. The adjusted basis generally equals the original purchase price plus any improvements you've made along the way, minus any depreciation deductions you claimed while you owned the property. So, if you bought a rental apartment for $250,000, spent $20,000 fixing it up and claimed $27,272 in depreciation deductions, your adjusted basis would be $242,728. Sell the apartment for $300,000 and you have a $57,272 taxable capital gain. In 2018, long-term capital gains tax rates are between 0 and 20 percent depending on your personal income tax bracket. While the rates can obviously change, they generally are much lower than ordinary income tax rates. What If You Sell the Property at a Loss? If you sell the property at a loss, then you also receive favorable tax treatment under Section 1231 of the U.S. Internal Revenue Code. Assuming you've held the property for at least one year, you can deduct 100 percent of the capital loss against your income. That's income from any source – salary, self-employment income, stock dividends, gains from the sale of other investment properties, you name it. If the loss is large enough to reduce your taxable income to zero, you can carry the loss back for two years and use it to recover some of the taxes you paid on those previous tax returns. Alternatively, you can carry the loss forward for 20 years. Ordinarily, capital losses are deductible only up to $3,000 for the tax year with excess capital losses carried forward to future tax years. So, you can see how Section 1231 represents a big tax break for rental real estate investors. As always, if you're thinking of diving into real estate investing, it's a good idea to work closely with a tax professional to make sure you're taking advantage of the different tax benefits available to you. What Are the Top 5 Ways to Save Money With Tax Deductions?